Spend the evening of Halloween with them, make yourself available to answer the door for trick or treaters and keep them safe. Avoid window decorations that block light or view of front entryways. When finished passing out candy, put a sign on the door “sorry no more candy” instead of turning off the porch light, as this can increase security risk. Keep floors, entryways and porches clear of decorations. 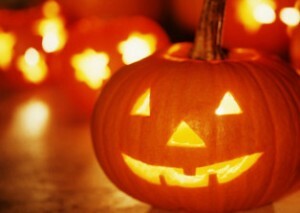 If you carve a pumpkin, use safe carving tools and use flame-less votive candles to light the inside. AmeriStaff Home Nursing providers are available to ensure that your loved ones are taking the proper safety measures in the familiar setting of their home. Our companions and homecare professionals are available to be with your family members and loved ones on holidays or any time you can’t be with them. For more information on AmeriStaff Home Nursing and our services, please contact 248-288-2270 or visit www.ameristaffservices.com. From all of us at AmeriStaff Home Nursing, have a safe and happy Halloween!